The new six member boy band ARGON released the scene of the music video for its debut song "MASTER KEY." The agency MSH Entertainment, posted a music video making video for their debut title track "MASTER KEY," via the official YouTube channel of the rookie group Argon on 27. Especially, the scene of child actor Lee Hye in has been making headlines since the release of the music video, and Argon is filming in a warm mood, also came as friendly. Argon caught the eye by expressing his sexiness with different charms under the intense red light. They also showed professionalism by seriously monitoring their appearance. Also, outside the camera, they turned the scene into a sea of laughter in a playful look. ARGON debuted on 11 with their first single "MASTER KEY," released their ARGON, which debuted with the release of its first single album "MASTER KEY" on 11, is a new six-member boy band with the meaning of "ART GO ON," delivering the team's aspirations to absorb different genres without being limited to one color, such as the colorless and odorless element symbol of Argon. The music video for the title track "MASTER KEY," which was released together, expressed Argon's various charms in a variety of colors and captured Argon as a delivery of a bright message and an image of the light that gives hope that they can overcome all public confusion through that light. 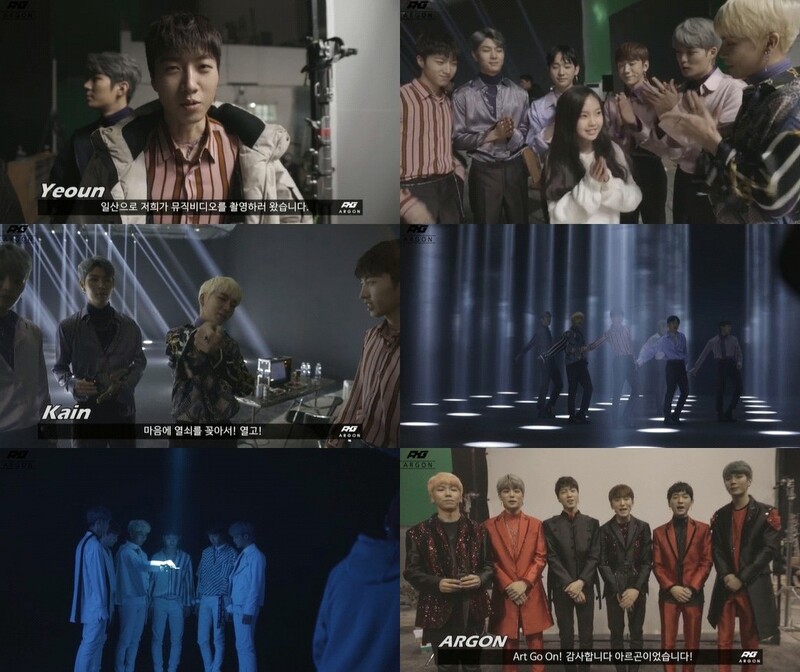 Argon has recently made a surprise release of a video clip on the choreography of his title song, giving fans a variety of attractions.